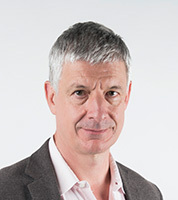 Dr Chris Corcos has worked as a consultant general adult psychiatrist for over 20 years in a variety of settings including public, private, forensic, inpatient and community. He has a special interest in holistic medicine, nutrition, personality disorder (better termed ‘complex trauma’) and the psychotherapies. Medico-legal documentation for (but not limited to): Centrelink, TAC, WorkCover, Insurance claims, Superannuation, Immigration, College or University exemptions, lawyers or courts. As of May 2015, Dr Chris Corcos consults on Wednesdays, for details on appointment availability and the schedule of fees please contact the NIIM Clinic Reception on (03) 9804 0646.